In this review we feature the loudest earbuds on the market that can deliver huge sound and bass output without any distortion. These earbuds are specially designed for noise-isolating sound injection for you to hear every single detail in the music. They come equipped with high-performance drivers that provide unparalleled accuracy and deliver great volume output without any distortion. Our experts have tested every single one of these earbuds to ensure that they deliver quality sound in addition to their massive volume output. If you are looking for some of the loudest earbuds that can deliver massive volume levels with crystal clear accuracy, be sure to check out our top picks below! The Etymotic Research HF3 are some of the loudest earbuds you can find on the market – they can go so loud and deliver massive volume output by injecting sound directly into your ear canals. The HF3 earbuds are equipped with high performance balanced armature drivers that provide crystal clear accuracy, and offer 35 to 42 dB of noise isolation with a maximum output volume of 120 dB. It also comes with a 3 button close proximity in-line microphone for easy control and clear communication, together with a refined forced 4 foot cable with 3.5mm stereo jack. These earbuds uses a 3.5mm stereo phone plug and comes with an assortment of ear-tips for a comfortable fit and carrying pouch. The HF3 high-performance armature drivers deliver crystal clear accuracy at high volume levels with virtually no distortion. It can reproduce true high fidelity sound and has the highest frequency response that we have tested amongst other earbuds. Music performances such as instrumental, classical and vocal genres sounded exceptionally clear with great musical clarity, while bass-heavy music genres such as rock and pop were equally enjoyable to listen to. 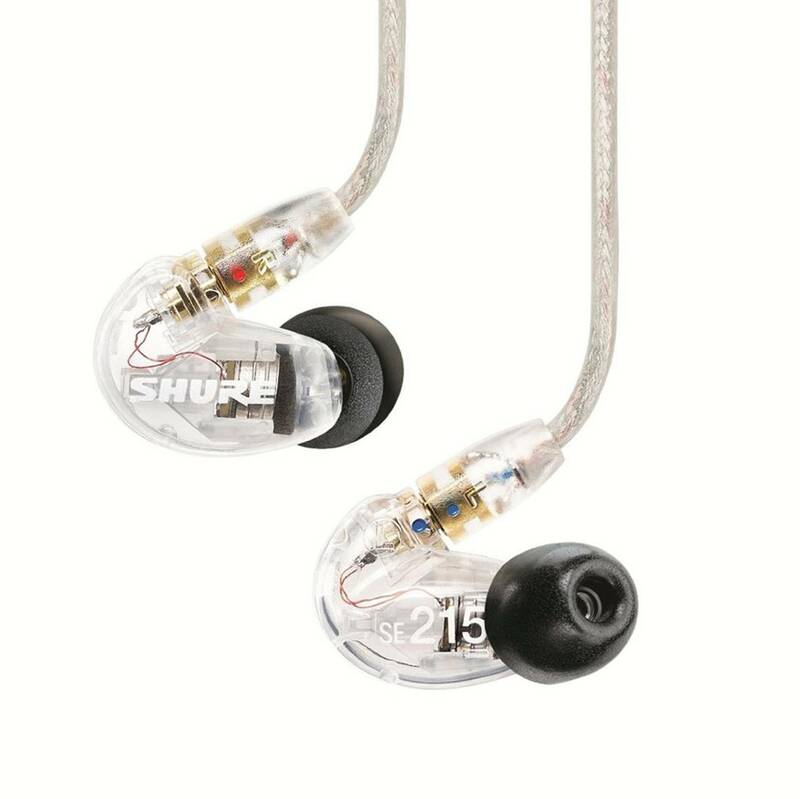 The Shure SE215-CL are some of loudest earbuds with superb sound isolation and musical quality. The SE215 earbuds offers detailed sound with enhanced bass for personal listening and professional monitoring – they are able to pick up minute details in the music and reproduced them with crystal clear clarity. These earbuds come with comfortable sound isolating sleeves that block up to 37 dB of ambient noise, which prevents outside noise from interfering with your listening experience whether on-stage or on the go. It also comes with a lightweight, low-profile shape with optimized nozzle angles designed to rest comfortably in the ear. 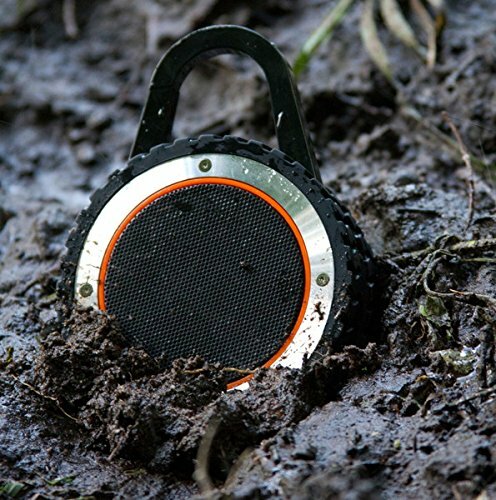 The SE215-CL comes with a durable reinforced cable which allows easy replacement or customization. It also features formable wire which ensures secure placement with an over-ear configuration that keeps the cables out of the way. It also comes with gold-plated MMCX connectors which has a lock-snap mechanism allowing 360 degree rotation for comfortable fit. The fit kit includes three sizes (S, M, L) for you to choose from to get the best fit in your ears. We also liked the fact that these earbuds come with a soft-zip, compact carrying case for storage and portability. These earbuds have an inline remote and microphone on select models which offer seamless control for phone calls, voice commands and easily accessible operation of volume and music playback. The SIMGOT EN700 is one of the loudest earbuds we have tested that can deliver high-fidelity audio performance with noise cancelling functionality. These earbuds come with a 10mm dynamic driver that provides clear, natural and well-balanced sound reproduction. In addition, the 10mm drivers deliver robust low-end bass with crystal clear highs, with all the details and nuance that musicians and professionals need to hear in the music. In short, these earbuds are designed and custom-built to meet the demands of audiophiles and demanding music listeners. The dynamic driver has a 101 dB sensitivity rating, with a frequency response of 15 Hz to 40 kHz with an impedance of 16 ohms. It also comes with customizable accessories with balanced ear tips that provide a proper seal in the ears. The EN700 has a compact, low profile and ergonomic design that makes these earbuds feel very comfortable and can be worn for extended periods of time. We liked the silicone and comfort foam ear tips which enhance the performance of these IEMs by providing superior noise isolation and providing a superb fit. These earbuds come with a braided audio cable which is configured with single crystal cooper and silver, making them durable and strong. The earbuds uses a 3.5mm stereo plug. The Brainwavz B200 are among the loudest earbuds designed for high performance audio and comfort. They are dual driver earphones which are fine-tuned to produce a balanced and accurate sound signature, with little to no distortion at high volume levels. 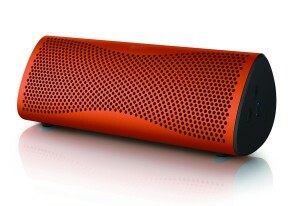 They deliver sound quality exactly as the artist intended it to be heard without any coloration. We wound describe the sound signature of the B200s as well-balanced with clear and detailed treble, lush midranges and smooth bass response. The B200 earbuds are engineered from high-quality parts for maximum comfort. It comes with a braided high purity oxygen free copper cable that is constructed with audiophile grade solder. It also features an ergonomic over-the-ear design with memory formed cable and small form factor which provides a comfortable listening experience while blocking outside noises. We liked the fact that the B200s come with detachable MMCX cables with a ergonomic over-the-ear design for an unobtrusive listening experience. It also has a 3D printed ergonomic housing that feels very comfortable in-ear. These earbuds come with all the necessary accessories you need to get started including extra ear-tips to try on for the right fit. The 1MORE Quad Driver are some of the loudest earbuds available that can produce a stunning amount of bass with crystal clear accuracy. 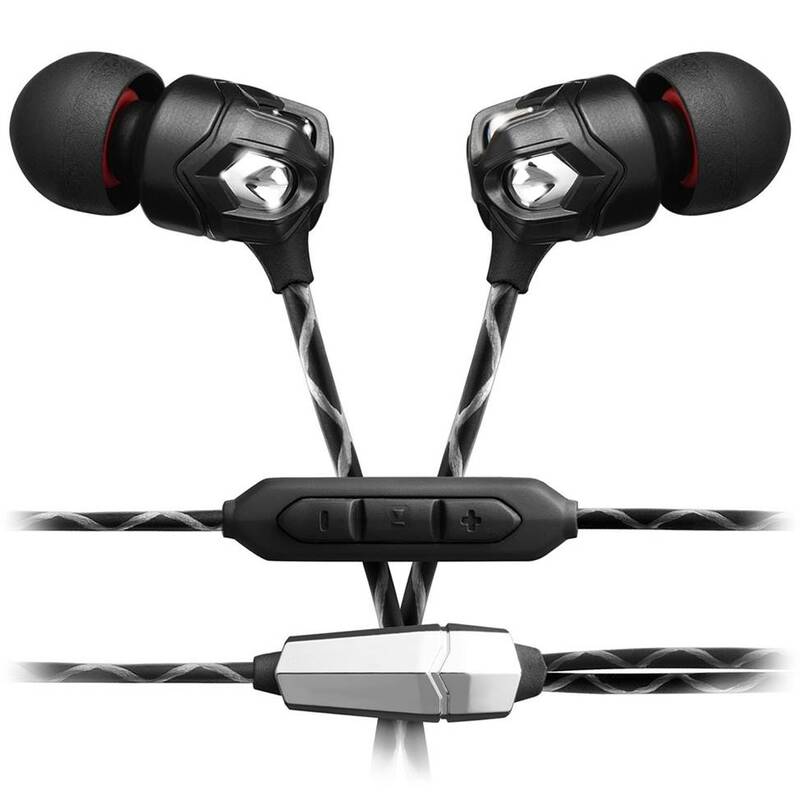 These earbuds come equipped with four drivers; it has a diamond-like carbon dynamic driver with 3 balanced armatures which deliver unsurpassed dynamic power and definition. Music performances sound extremely lifelike and punchy with the 1More Quad drivers, and the level of volume and bass output that you get from these earbuds is intense and powerful. The 1MORE Quad drivers feature a meticulous design and come with a streamlined aluminium sound chamber with perfected ergonomics which provide exceptional comfort and noise isolation. It also features intelligent controls with microphone – they have conveniently located in-line controls which allow you to change volume, skip songs and make crystal clear calls. The 1MORE earbuds comes with a nice box for portability, leather travelling case, 9 ear tip sizes to choose from and even an airline adapter. 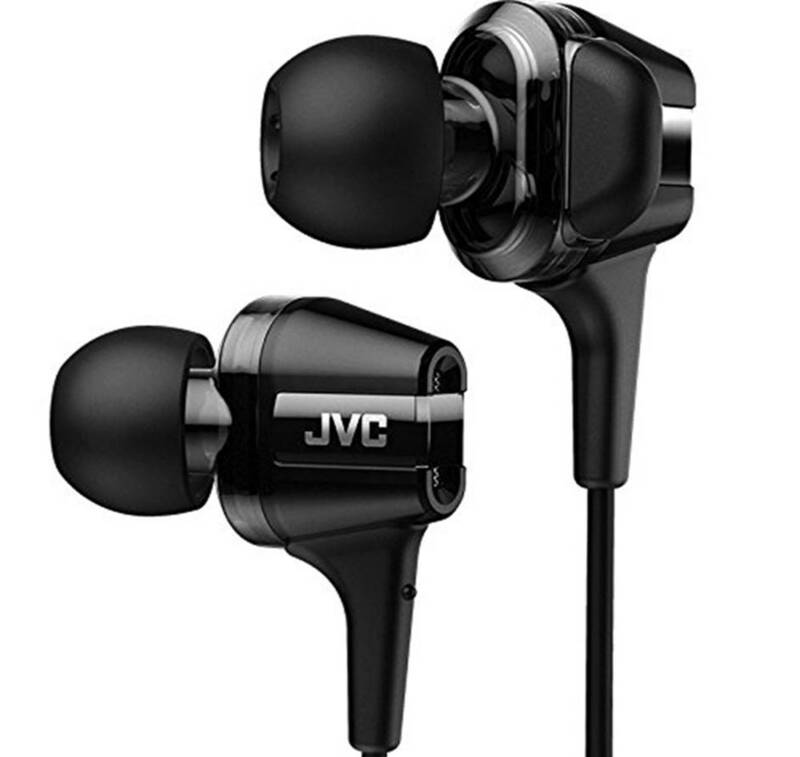 The JVC HA-FXT100 are some of the loudest earbuds that come with hi-speed twin system unit drivers that provide high quality sound. 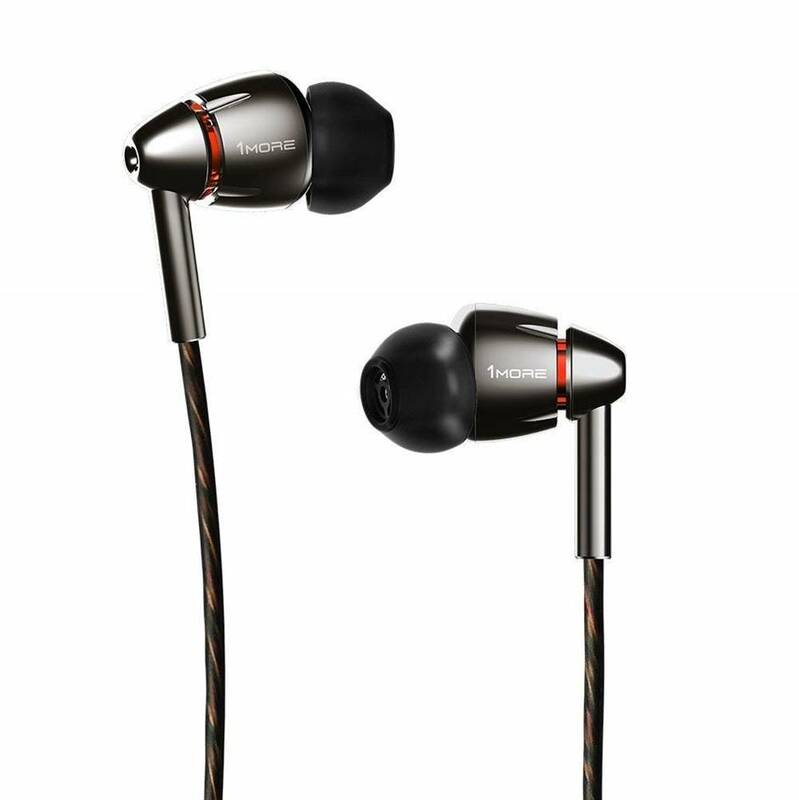 These earbuds are built with a twin bass port structure that delivers massive bass sound output and volume levels. Furthermore, the FXT100 has an extremely wide frequency response between 7 Hz to 26 kHz with a sound pressure level of 104 dB / 1mW. These earbuds have an impedance of 12 ohms and a 5.8mm driver. The sound performance on the JVC HA-FTX100s is very good – they have a strong V-shape sound signature with crystal clear highs and deep bass. 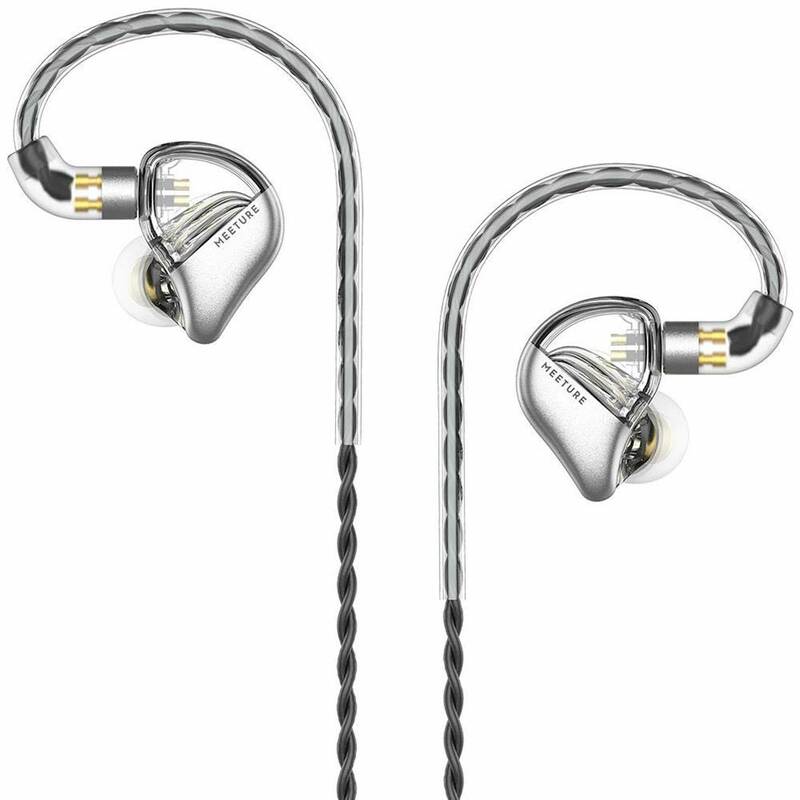 We also liked the fact that these earbuds have an expansive soundstage with detailed separation. You can really adjust the volume up on these earbuds that they can pump out massive volume levels without any distortion or coloration. They work great when connected to your smartphone device without the need for an amplifier. These earbuds come with multiple accessories including earpieces of different sizes to choose from for the best optimal fit, including a carrying case for easy storage. The RHA T20s are among the loudest earbuds we have tested that come with hi-resolution dual-coil dynamic drivers that produce audiophile quality sound. These earbuds come with interchangeable audio tuning filters that allow you to tailor the sound signature to your preferences. The RHA DualCoil driver combines the power of two drivers with high-efficiency to provide maximum volume output and deep bass performance. If you are looking for earbuds for EDM or hip-hop music genres, these earbuds are the ones to get. 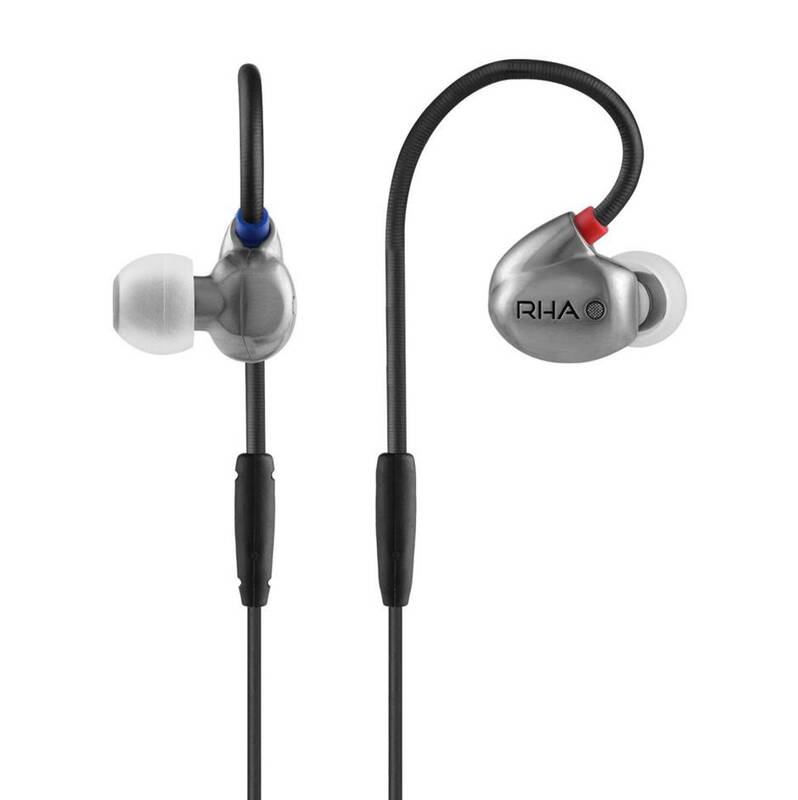 The RHA T20s feature injection moulded 303F premium grade stainless steel ergonomic housings with over-ear hooks for comfortable listening. These earbuds come with noise isolating comply foam eartips that provide 2x external dB reduction. 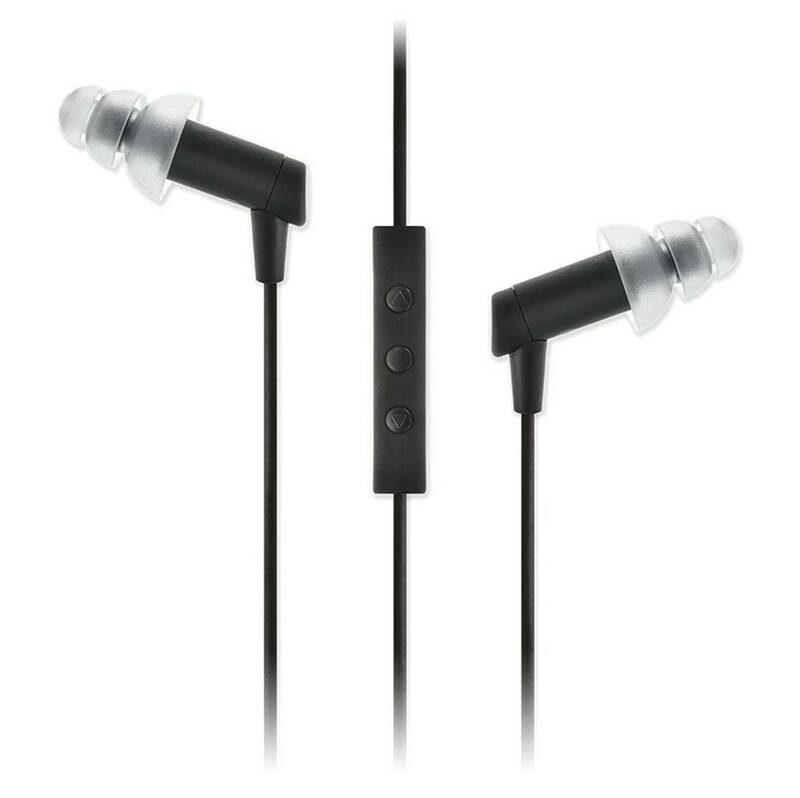 It also has a reinforced 3.5mm cable for high-end listening with outstanding comfort and performance. We liked the fact that these earbuds come with fully mouldable over-ear hooks with secure steel housings that optimises listening and provides a noise isolating seal that blocks all external noises from entering, providing an enjoyable listening experience. The V-MODA ZN is among the loudest earbuds available on the market that provide audiophile-grade sound performance. These earbuds are newly developed to provide outstanding dynamic 8mm driver boost with tonal accuracy and very low distortion at high volume levels. You can practically blast music through the V-MODA earbuds without hearing a hint of coloration and distortion. The earbuds are hand-tuned to complement human hearing limit variance at 2 dB. The V-MODA ZN earbuds comes with precision zinc allow metal housing, which provides an ergonomic fit in the ears and consistent acoustic quality. These earbuds also have active flex sport ear hooks for stability and fit. It comes with a newly tuned 8mm dynamic driver for great accuracy with a wide frequency band with very low distortion (<0.5dB). This allows you to hear lifelike sound performance and hi-resolution music quality exactly as the artist intended the music to be heard. We liked the fact that these earbuds come with built-in 3 button remote microphone which are specially tuned for phone calls and voice recognition, and are universally compatible with all smartphones, laptops and tablets. It also comes with a tangle free Diamondback cable that is 20x stronger than the industry standard. 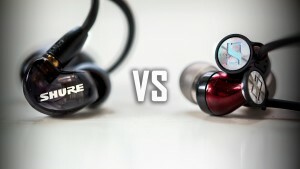 Overall, these are one of the loudest earbuds we have tested that punches above its weight and we highly recommend them. The SMIGOT MT3 is one of the loudest earbuds with dynamic drivers with 10mm high-magnetic circuit coil driver technology. These earbuds have incredible high-resolution detail and clarity with built-in copper cores that reduce distortion and signal transmission loss. These earbuds come with a delicate cavity featuring an ergonomic design that feels very comfortable when worn in the ears. It is equipped with three different sizes of ear hooks and tips to ensure a comfortable and secure fit for workouts. We also liked the formable wire which ensures a secure placement over the ear. 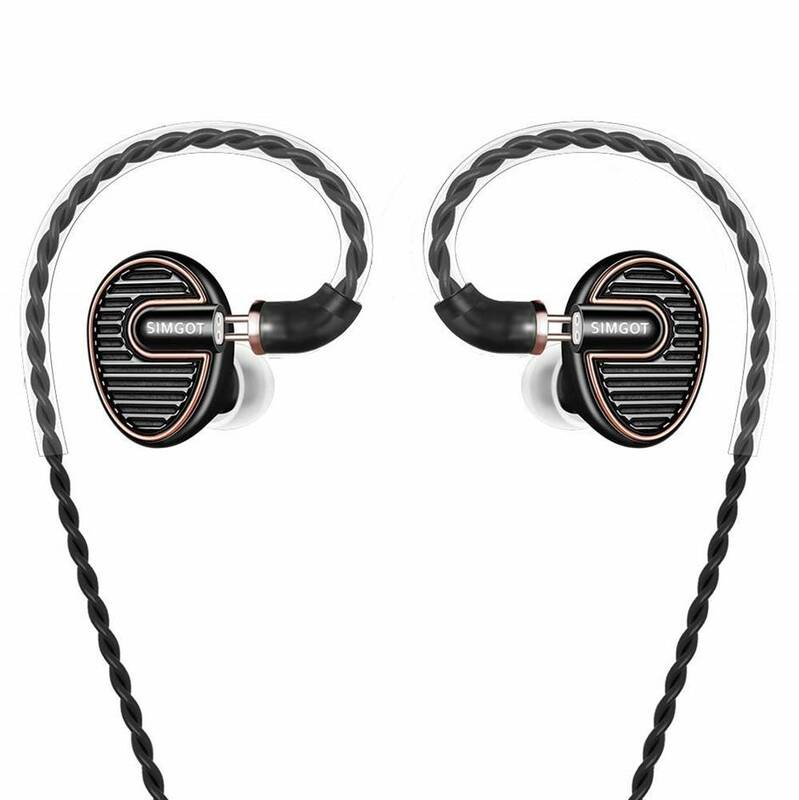 The MT3 features a silver-plated mixed detachable reinforced cable at the ear for easy replacement and customization. It has a unique chamber design that allows for clearer airflow for distortion-free sound; you can practically crank up the volume on these earbuds and expect to hear virtually zero distortion in sound performance. The 10mm micro drivers provide full-range sound quality, allowing you to appreciate the highs, midranges and lows across all music genres. 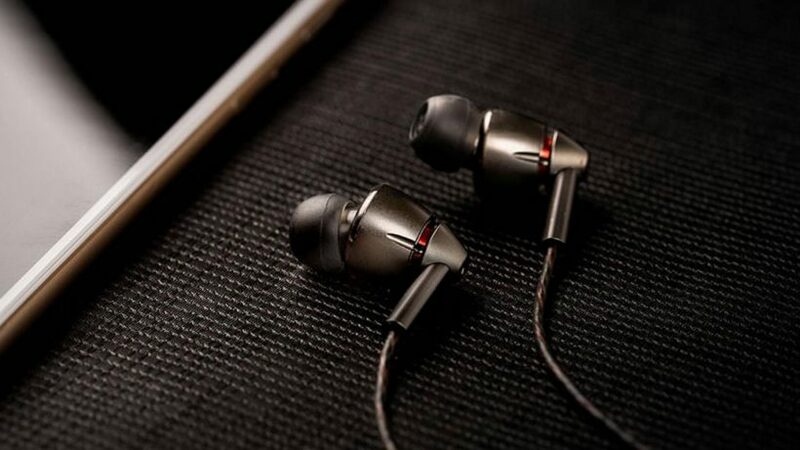 We particularly liked the transparent design on the MT3 earbuds which gives it a sleek and stylish appearance. These earbuds also come with a protective carrying case for tangle-free storage. The Bowers & Wilkins C5 are one of the loudest earbuds we have tested that provides great value for money. The C5 Series 2 earbuds feature redesigned drive units for enhanced sound quality and a new cable for better comfort and performance. The C5s provide realistic sound performance with crystal clear clarity at any volume level, and have virtually zero distortion and coloration in the sound. 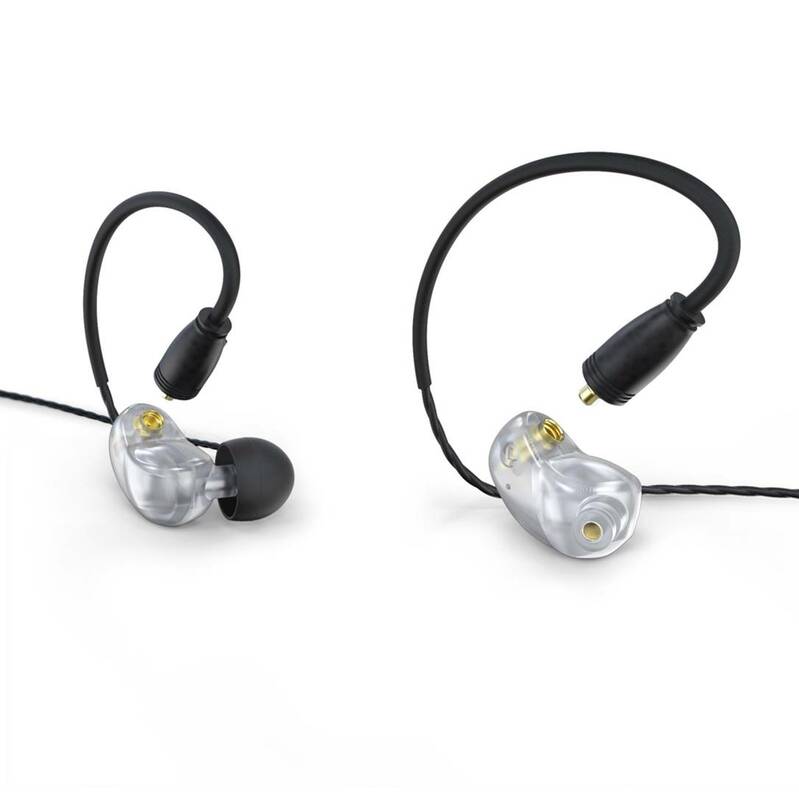 The in-ear design provides a good degree of noise isolation which helps to block outside noises from interfering with your listening experience. In terms of sound quality, these earbuds provide high-definition sound with full-range audio clarity and rich bass. The highs and midranges are well-defined, and do not feel harsh at high volume levels. These earbuds produce practically zero distortion at high volume levels. These earbuds are created with a cushioned loop that curls around the ear’s inner rim to hold them in place, providing a comfortable and ergonomic fit. 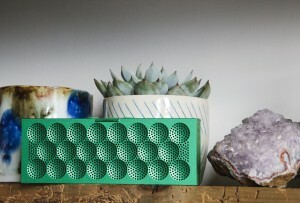 We liked the fact that these earbuds have a Micro Porous filter which acts as a sonic diffuser which opens up the sound performance, making it feel rich and expansive. The earbuds have an impedance level of 32 ohms. 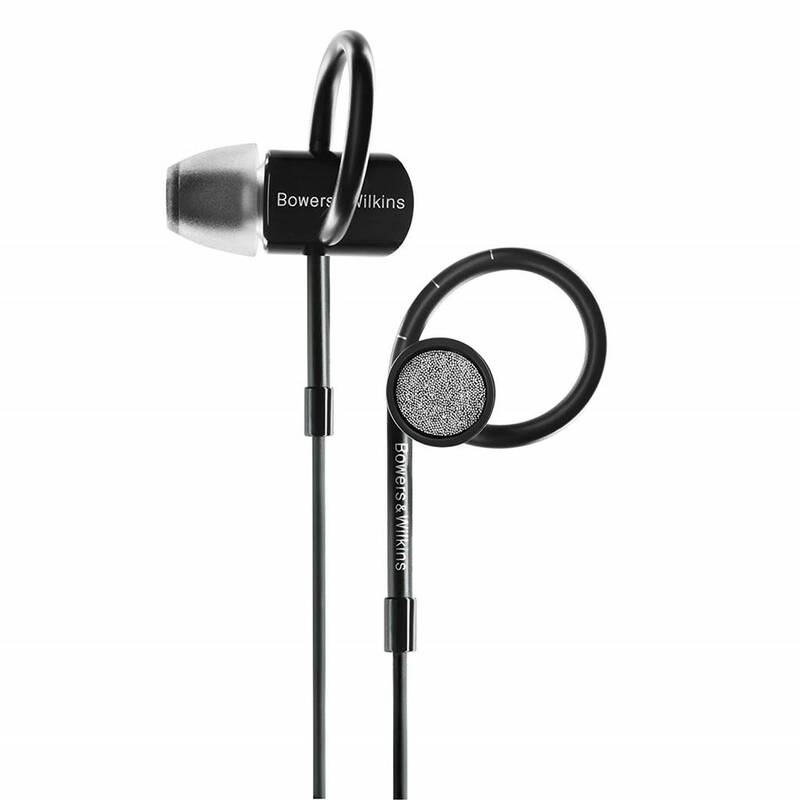 The Bowers & Wilkins earbuds are made with an iPhone remote/microphone compatible cable which can control the volume and soundtracks on your iPhone directly. The earbuds are also compatible with other smartphone, tablet devices and mp3 players.